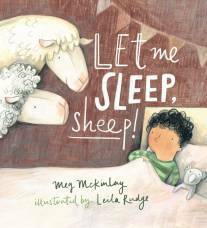 Meg McKinlay has read 45 of 155 books. Meg McKinlay read 151 books of her goal of 150! Meg McKinlay read 139 books of her goal of 100! She has published sixteen books for young people, ranging from picture books through to young adult novels, and a collection of poetry for adults. Her most recent publications are the picture books DUCK! and The Penguins Are Coming!. A former academic, swimming teacher, Japanese interpreter and tour guide, Meg has accidentally lived her life in accordance with the song lyrics, "If you see a strange door to your left/then drop your things and run for it"*, which is how she found herself wrangling words for a living. Meg has no plans to drop writing, though; she is always cooking up more books, with both a new middle-grade novel and a picture book scheduled for 2019, and more to follow. 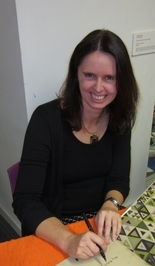 To ask Meg McKinlay questions, please sign up. Meg McKinlay Boo Radley and Scout. Because obviously. Coming in a close second, Harriet the Spy and Ole Golly. Because see above. How do you manage to come at children's level while writing for them? Meg McKinlay Hi Talha. Thanks for the question. I think I remember very vividly what it felt like to be a child, so I have a good emotional connection to child…moreHi Talha. Thanks for the question. I think I remember very vividly what it felt like to be a child, so I have a good emotional connection to child readers. I do have to be careful with language and so on, though - that I pitch that at the right level while not being too simple either. I guess I try as much as possible to drop back into the skin of my childhood self and see with those eyes. It really helps to get out and talk to kids as well; that's one reason I love working with school groups because it sort of refreshes that sense of connection. She has read 45 books toward her goal of 155 books. Meg McKinlay has completed her goal of reading 150 books for the 2018 Reading Challenge! Meg McKinlay and 1 other person liked James Foley's blog post: Give your kids Gastro this October!
" Goodreads has instructed me to cheer for you, so consider it done! " Meg McKinlay has completed her goal of reading 100 books for the 2017 Reading Challenge! “Alive. That was the first thing. A daughter. That was the second. They knew this without being told, without searching the newborn's features for some telltale sign. If the child had been a boy, the Mothers would have emerged empty-handed. They would have filed quietly from the house, leaving the family to their disappointment. A boy was simply another mouth to feed, another body to keep warm during the winter. A boy might wield an axe or trap a bird. He might mend a roof or skin a rabbit. “They watched as the bird disappeared, until the only sign it had been there at all was the quivering of branches, a handful of leaves falling quietly to the forest floor around them. There was no need for either to say what they were thinking. They had done a wrong thing, a right thing.